Alphabet ordinary shares ("A Ordinary shares", "B Ordinary shares", etc.) are used for a variety of purposes. They are often used to enable a company to pay dividends at different rates per share to individual shareholders. They are also used in family companies and joint ventures and other situations where particular rights (e.g. to appoint a director) are given to specific shareholders. Because dividends are often a more tax-effective means of paying income to director/shareholders than salaries, many companies want the flexibility to pay dividends that are not proportionate to the shareholdings of the the individuals. In such cases, all the A ordinary shares are held by one person, all the B ordinary shares by another, and so on. Then a dividend can be declared on the A ordinary shares at one rate and on the B ordinary shares at a different rate. To pay a dividend at one rate on A shares and at a different rate on B shares, etc., there must be a clause in the articles allowing the directors (or the members, as appropriate) to vary the dividends between one class and another, to override the provisions in the Model Articles or Table A that require dividends to be paid in proportion to the number of shares held. In other respects (voting, rights to capital, etc.) the different classes of ordinary shares usually rank equally. Sometimes company employees are awarded shares to enable them to be paid part of their remuneration in the form of dividends. Structured correctly, such schemes can provide both an incentive for employees to seek to maximise the company's profits and a tax-efficient means of paying them. Such schemes vary. Often the shares will be non-voting and may be redeemable at par value (i.e. 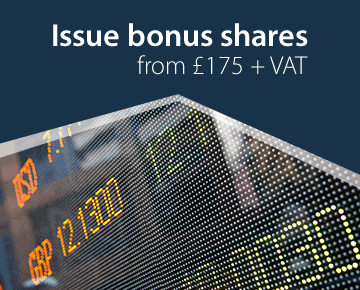 £1 on a £1 share) to enable the shares to be taken back from the employee on ceasing to be employed. In many smaller companies a different letter of the alphabet is used for each employee for maximum flexibility (provided a power to vary dividends is included in the articles, as outlined above). There have been some examples of alphabet share schemes being used in ways that have been challenged by HMRC for tax or National Insiurance contributions evasion or income shifting. Careful consideration with competent professional advice must always be given to the tax issues before instigating such schemes. Quite apart from the alphabet share schemes described above are approved employee share schemes where the shares are not set up as separate alphabet shares for each employee. There are tax incentives for such schemes and more details are available on the HMRC website. Issuing shares in a private company to the directors' spouses or partners, children, etc. has a long tradition, both to enable income from the company to be spread among family members by paying them dividends, and for longer term capital tax planning reasons. 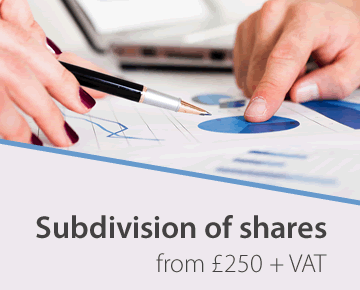 Using alphabet shares for such shareholdings provides greater flexibility over the payment of dividends, so different amounts can be paid to different family members, as required (provided a power to vary dividends is included in the articles, as outlined above). Such shares can be voting or non-voting, redeemable or non-redeemable and have such other rights or restrictions, as required. When a company is set up as a joint operation between two more independent companies or two or more families, alphabet shares are often used to provide each of the joint owners with representation on the board and other rights. For example, if Company A and Company B set up a joint venture called Company C Limited, that company might be set up with A shares (held by Company A) and B shares (held by Company B). Company C Limited's articles (or a shareholders' agreement) might then contain provisions protective of both Company A and Company B, e.g. that a certain number of directors can be appointed and removed by the the holders of the A shares and others by the holders of the B shares and that certain steps (such as allotting shares, transferring shares, etc.) can only be taken with the consent of both the A and the B shareholders, etc. The typical process is to create a new class of shares , by setting these out in the company's articles and having these articles adopted by a special resolution of the company. Having created the shares, either new shares of the classes concerned have to be allotted or existing shares have to be converted to the new classes (or sometimes both). The proposed changes must be considered and approved by the directors and then approved by the shareholders. The shareholders' resolutions can be passed as written resolutions under the new procedures in the Companies Act 2006 (our preferred procedure). 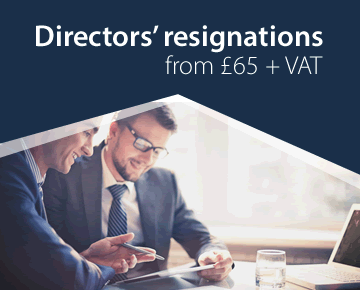 Notices of the resolutions and the statutory forms must be sent to Companies House. All the procedures and forms were amended by the Companies Act 2006 (most of which came into effect on 1st. October 2010) and it is important that the correct procedures are followed and documents and forms produced. dispatch by us to Companies House of the completed and checked documents (if required). 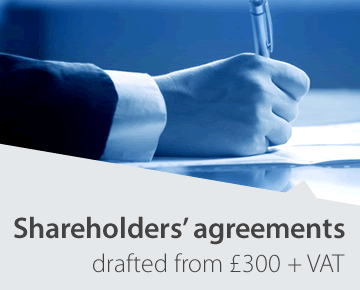 If, before any new shares are issued, the company is a single person company, with just one director/shareholder, appropriate alternative documentation is provided. As can be seen from the above description, the amount of work varies from case to case, and the exact price will depend on the circumstances, but we will always advise as to our costs on receipt of full instructions and before starting work. See our prices page for typical costs. Before issuing shares a company and its owners should be aware of the implications of diluting the existing share capital and bringing someone in as a shareholder. A person investing in a company should investigate the company carefully, to make sure they know all aspects of the business they are buying into. In either case, professional help may be required from solicitors and/or accountants, and also advice taken as to any tax implications. We cannot give that advice. We can only deal with the procedural aspects of the transaction.